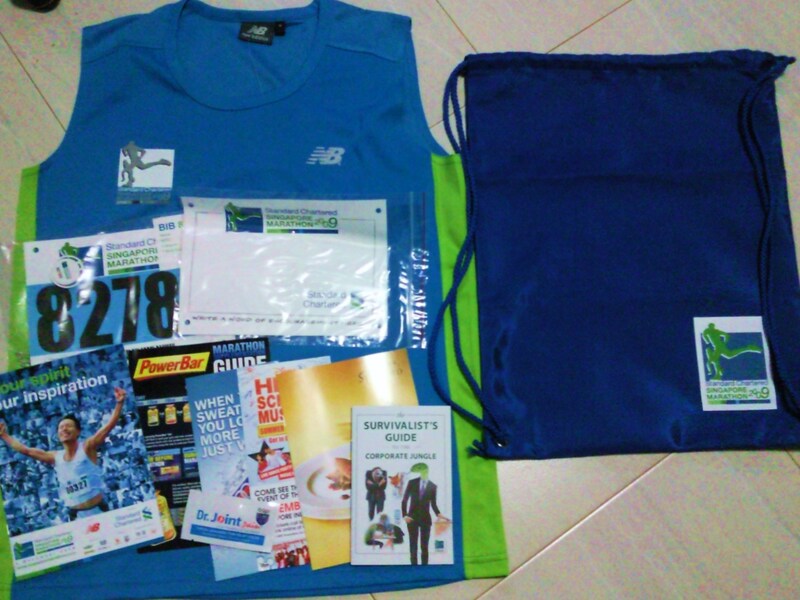 And so I was one of the lucky souls to be selected for this special race entry pack collection. All I did was to take part in their ballotting and 8000 SCSM participants will be randomly from the received ballots. 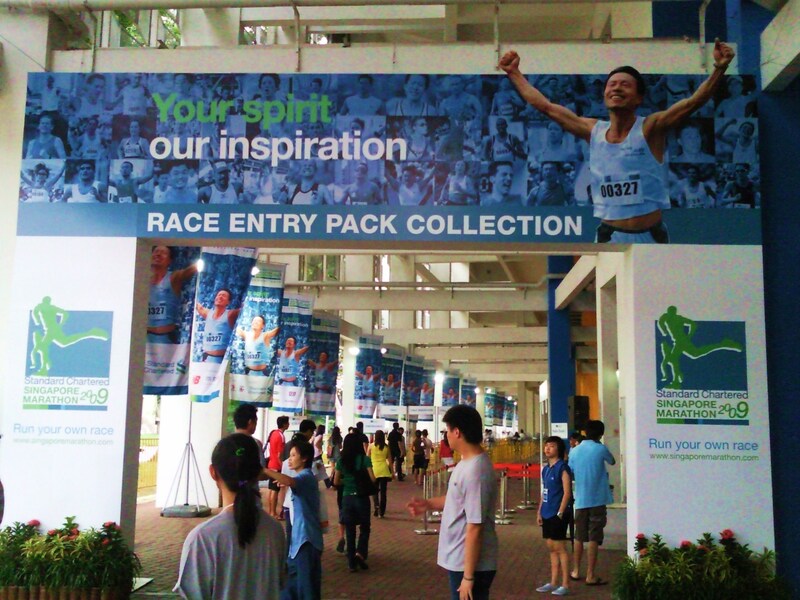 This special race entry pack collection is held today and tomorrow at the Marina Bay Floating Platform. 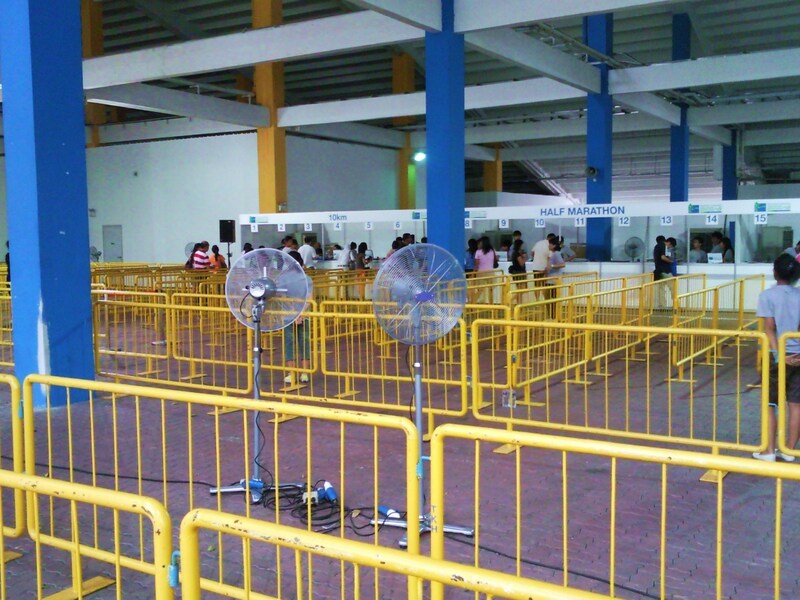 There was practically no queue when I went there with my friend this afternoon. We breezed through the yellow maze that had been set up. Then all that we needed to do was to hand in our NRIC and after scanning it, we were given our race pack containing the race bib, an Encouragement bib, a ChampionChip timing device, an SCSM New Balance running singlet, the race day handbook plus the standard paraphernalia. Everything was over in less than 5 minutes. 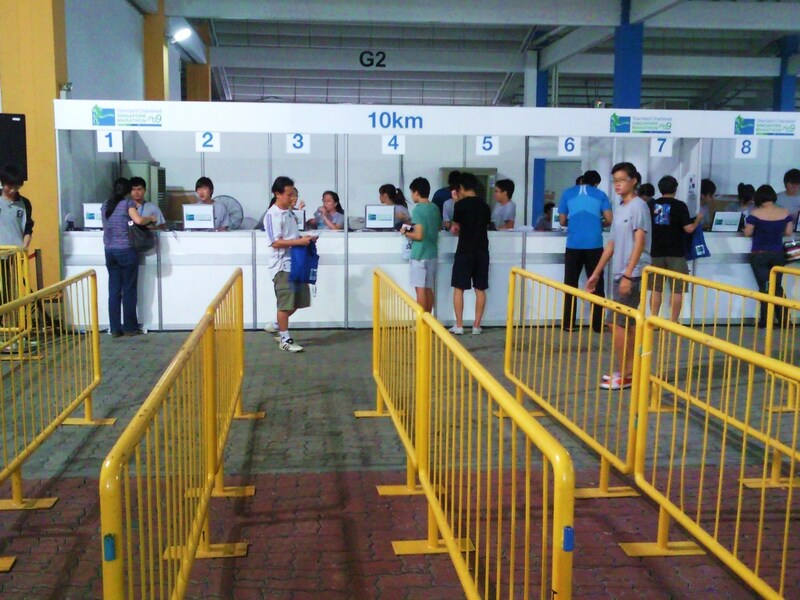 Other than that, there was a single booth selling the bus tickets that will ferry the runners from the various stadiums around the island. It costs only $5 and the buses will stop near the baggage deposit area on race day. Went for my last long run before my SCSM 10km run next Sunday. Alhamdulillah since I started slow during the first phase of the run, I did not suffer any cramps and could finish the second phase strongly. This entry was posted on Saturday, November 28th, 2009 at 10:29 pm	and tagged with Jog, Run, Saturday, Standard Chartered Singapore Marathon and posted in Jog, Run, Saturday, Standard Chartered Singapore Marathon. You can follow any responses to this entry through the RSS 2.0 feed. Do you have an interest in maps and digital maps? Well if so you must visit http://www.promap.co.uk, the have a huge range of different types of OS maps with digital overlays and GIS data.